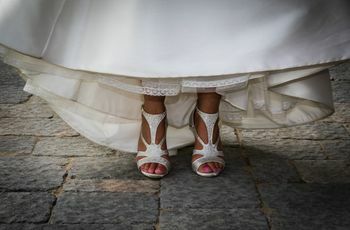 7 Types of Wedding Shoes that Aren’t High Heels | Wedding Ideas ARE YOU A VENDOR? Don’t want to teeter down the aisle in high heels? Here are a few of our favourite alternatives to consider. 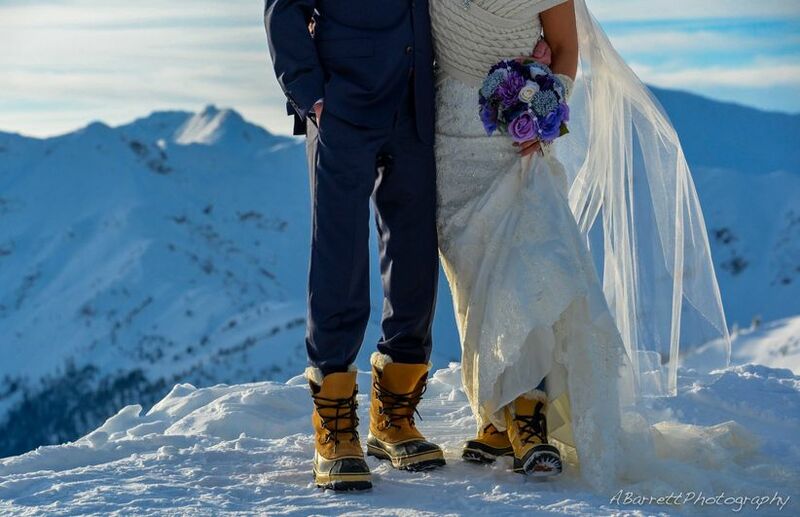 Yes, you want to look downright fabulous on your wedding day, but you also want to be comfortable. If walking (and dancing) around in sky high heels from dawn until dusk sounds more like a nightmare than a fairytale to you, skip the stilettos! 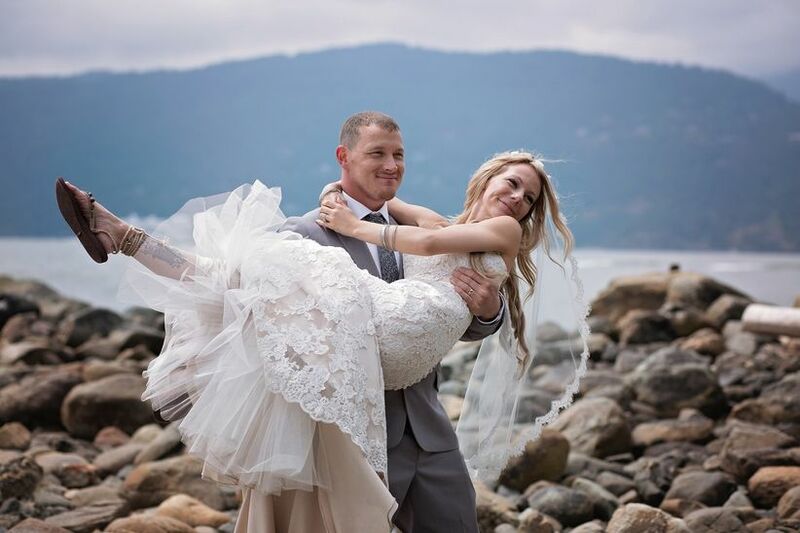 These real Canadian brides sported flat footwear on their wedding days and looked picture perfect doing so, so use them as inspiration. 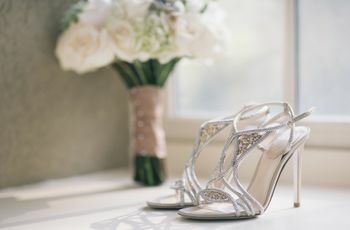 Here are a few alternative wedding shoe ideas for brides. 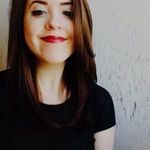 Hosting a winter wedding? Well, there’s a good chance you’ll want to step outside to take some dreamy photos in the snow. Strutting your stuff through the cold in strappy stilettos is just asking for trouble, so slip into some warm winter boots, instead. We suggest following this happy couple’s lead and going for matching pairs. 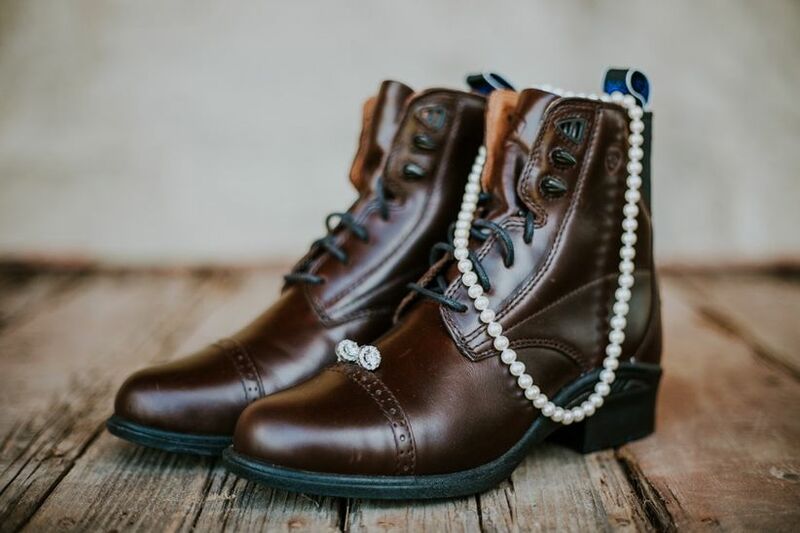 Add some vintage flair to your outfit with a pair of leather boots. They’re a wardrobe staple, so almost every gal has a pair sitting in her closet. If yours are looking a little worse for wear, hit the stores to find a stylish, comfortable pair to finish off your look (now may be the perfect time to buy those Frye boots you’ve been eying!). You’ve got the green light to splurge a little on these, since you’ll definitely wear them after your wedding. 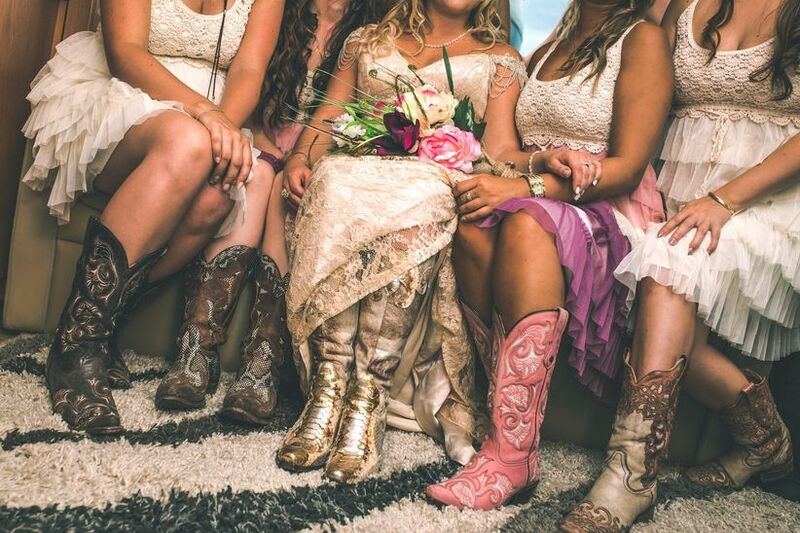 If you want to give your wedding a bit of country flavour, finish off your bridal ensemble with a kickass pair of cowboy boots. They come in every colour under the sun, so you’re sure to find a pair that matches your colour scheme. Remember, these aren’t just reserved for farm and barn weddings (though they do suit them well), if you want to sport yours in a grand ballroom, go right ahead. So, the weather forecast is calling for a downpour on your big day? NBD! 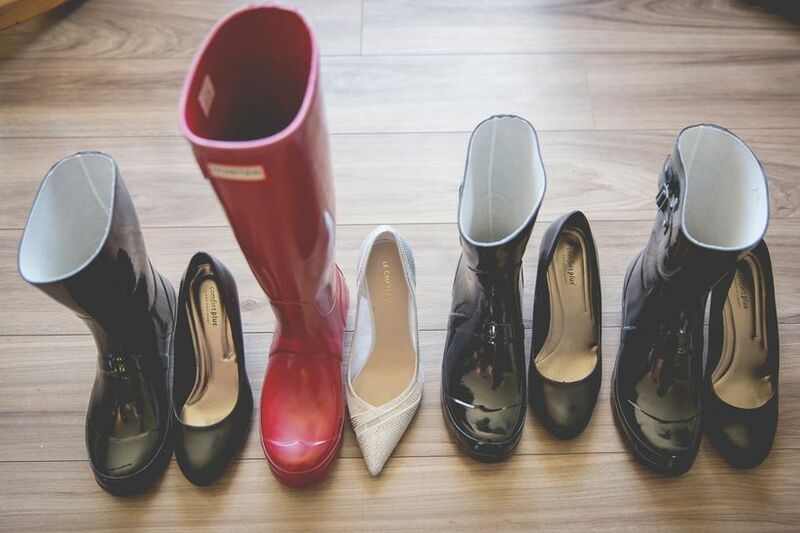 Embrace the rain and puddle jump into married life in a cute pair of boots. Don’t forget to ask your ‘maids to wear complementary pairs - you’ll definitely want to show them off during your photoshoot. Pro tip: you’ll probably want to have another pair of shoes waiting in your dressing room so that you don’t drip all over your venue! If you’re hosting a laid back summer soiree, sandals are an awesome option. 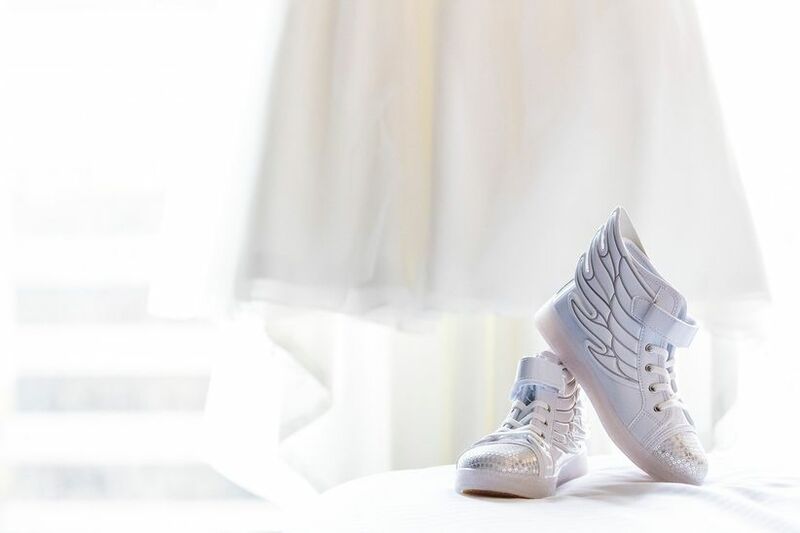 Not only will they keep you cool, but it’ll be easy to find a pair that complements your wedding theme. Are you all about that boho style? Hunt down a pair of strappy gladiators. Or, maybe you’re going with something on the chicer side? Find some bedazzled slingback sandals to finish your look. Sneakers are one of the most popular options on this list. Not only are they super comfortable, but it’s also pretty easy to find (or DIY) a wedding-worthy pair. While you may be tempted to grab your Vans from your closet and call it a day, we suggest investing in a fresh new pair for your big day (don’t worry, unless your buying Yeezys these won’t eat up a ton of your budget). 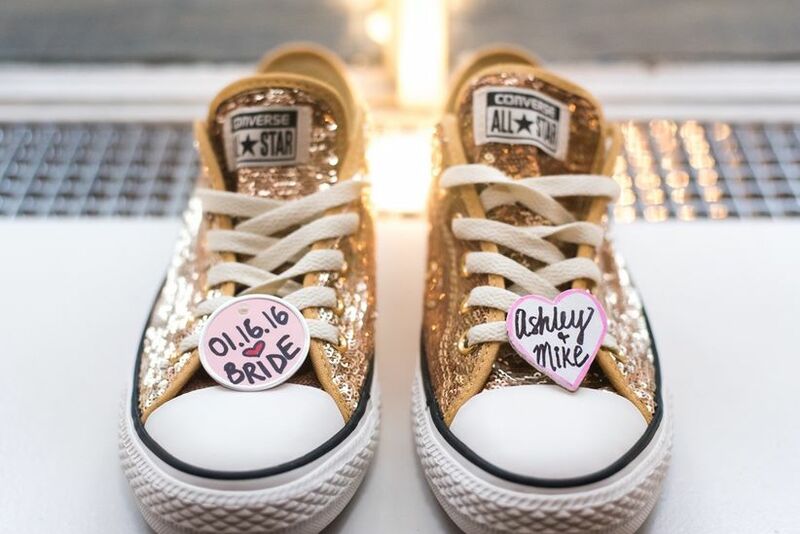 Sparkly Converse, sleek white high tops and neon kicks are all popular options. Last, but definitely not least, is flats. 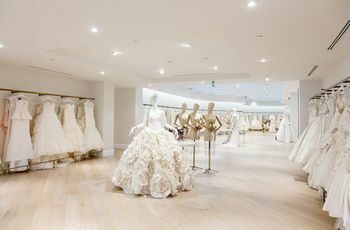 Whether you want a simple pair of blush coloured ballet slippers or a bedazzled pair of mary janes, you’ve got options. 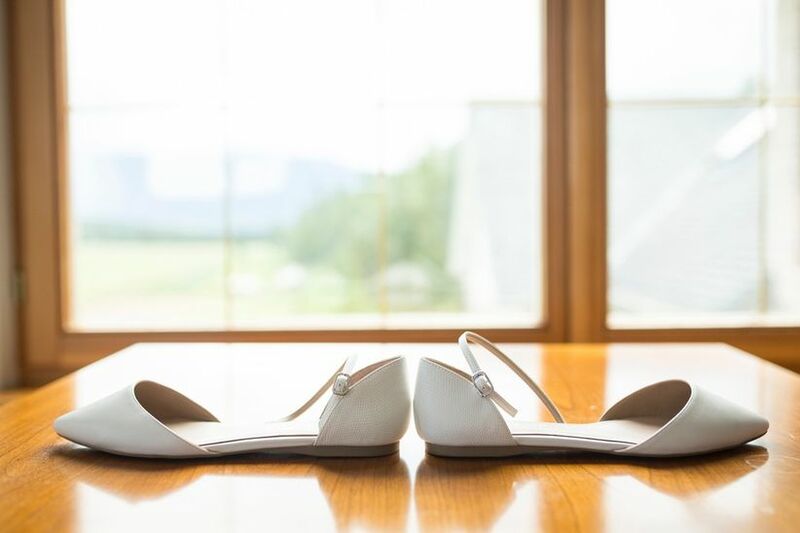 Many bridal stores carry flats in-store, so you may not even need to scour the internet for your perfect pair.